All the doctors in this practice have satisfied the training requirements of the Royal Australian College of General Practitioners and are on the Vocational Register of General Practitioners. This means we have a commitment to general practice and to continuing education. Has a Medical Degree and 45 years experience as a G.P. He is particularly interested in preventative care, especially Diabetes, geriatric medicine and minor surgical procedures. Dr. Kohn also practices in Cosmetic medicine. 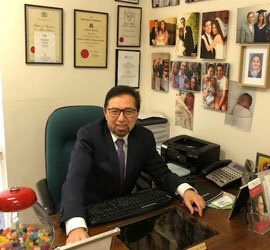 He is experienced in Anti-Wrinkle injections, Fillers and Lipolysis (www.westmedcosmeticmedicine.com.au). Has a Medical Degree and a Science Degree and is a member of the Australian and International Sports Medicine Federations. He has 40 years experience as a G.P. and speaks fluent Polish. 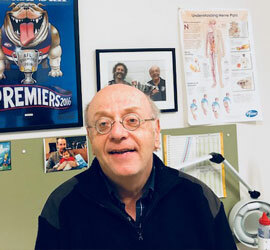 He has a particular interest in Sports Medicine and is currently the Western Bulldogs Football Club doctor. His expertise is in all muscular and bony problems whether due to injury or disease. Has a Medical Degree and a Diploma in Obstetrics and has 35 years experienceas a G.P. 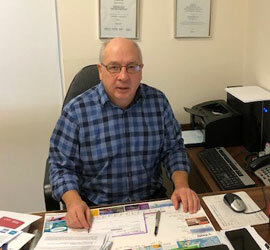 In addition to providing comprehensive general practice care, he provides Shared Obstetrical care with the Western Sunshine, Women’s and Mercy Public Hospitals. He has a particular interest in paediatrics, women’s health issues and also vaccinations (children and travel). He is our authority on travel medicine.